Ever since the first mechanical clocks were made in the 1200s, they have consisted of a face and two hands. Until Steen Georg Christensen and Erling Andersen set out to challenge the traditional understanding of a mechanical watch. The year is 1984. Steen and his partner Erling had a mission: to design a watch that challenged traditional thinking. 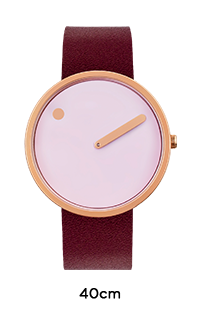 The watch should be as minimalistic as possible and only consist of a dial and one hand. The result is PICTO®. PICTO® means picture and is the world’s first wristwatch that displays time as a pictogram – or an icon of time in perpetual motion. 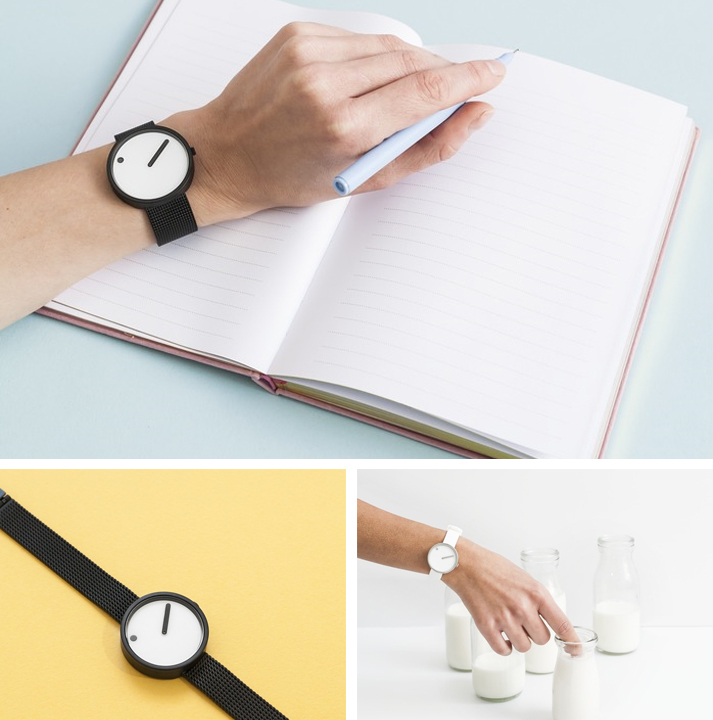 With its clean, minimalist graphic lines, PICTO® sets a new standard for the way of showing time. The hour is marked with a dot on the rotating dial, while the minutes are indicated by a conventional hand. A technical design that is unique for a watch and which was the first of its kind. More than 40 years later PICTO® still manages to stand out with their revolutionary dial. 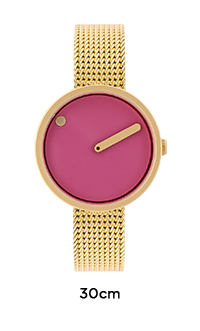 Each watch comes with either a silicone, genuine leather watch strap or mesh band, made of 316 stainless high-grade steel. 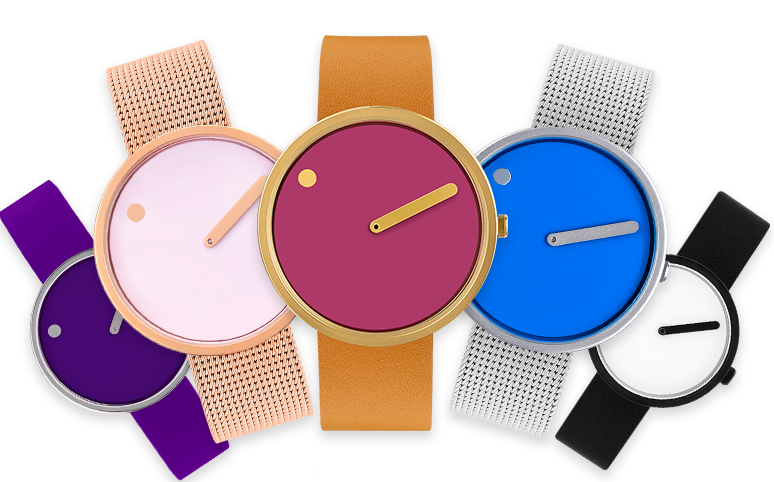 Each strap is interchangeable, and depending on whether you choose a silver, gold, rose gold, black mesh or even a colourful leather or silicone band for your PICTO® watch, you can easily swap it around for one of the many other colour options available. Choose whether you want a watch dial measuring 30cm or 40cm. With your PICTO® watch, size is all up to you. 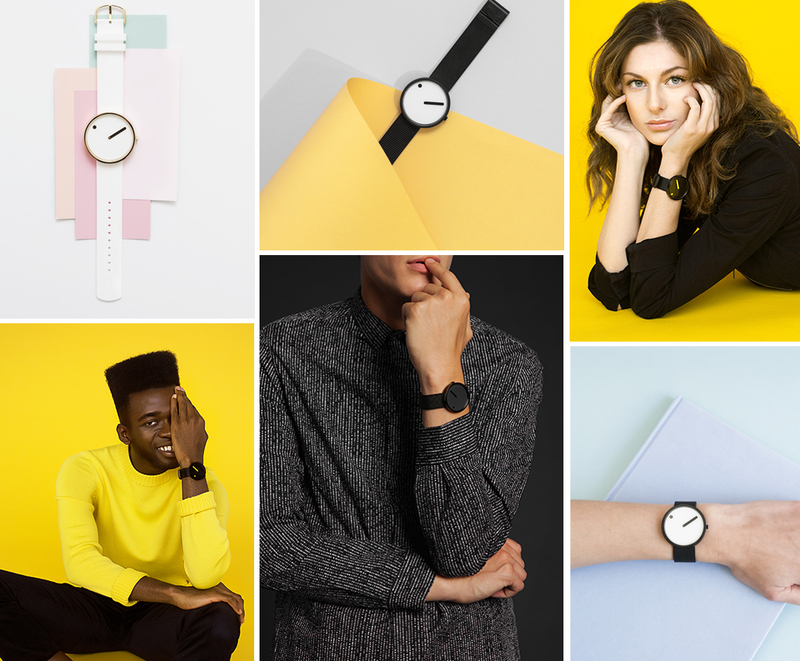 All watches are unisex with a clean minimalist design.